Super Power Compact size and comfortable to hold! People always though that strong power should match with large size, SMOK will say NO to that. the 350W output is the maximum output in the globe with a so much compact size. It is powered by 4 18650 batteries and has a micro-USB charging port that supports firmware upgrading and charging. When matching with the cloud beast TFV8, you will enjoy fantastic clouds. Tridimensional polygon design features with curved streamline and aircraft carrier appearance; it allows you surfing in the vaping ocean. GX350 makes the UP and DOWN button combined which simplifies the operation. The details make a little change that reveals the elaboration from SMOK. 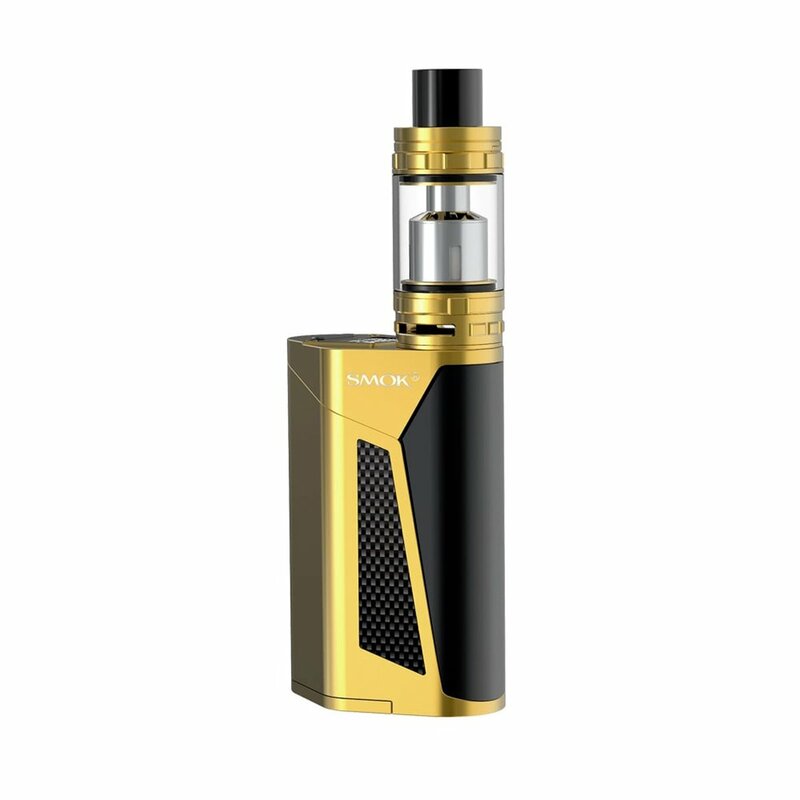 It presents all key pieces of information, including output wattage, output voltage, and atomizer resistance and remaining battery life, etc. 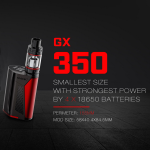 The mod always has very heavy size when powered by 4 x 18650 batteries; while GX350 has reduced the whole size after precise calculation, which is smaller than other mods powered by 3x 18650 batteries. Tridimensional polygon design has shortened the perimeter to 155mm, although it can carry 4 x 18650 batteries by the small size.